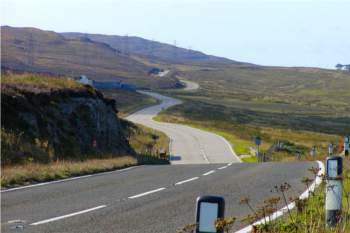 Transport Scotland has advertised its first two next generation trunk road contracts, worth around £700m each. It has published contract notices covering the South West and South East of the country. This procurement represents the first of two tranches covering the four units within the Scottish trunk road network. The notices state that the second tranche, which will comprise the North units, will be issued in 2020. In each case, the initial contract term is eight years with an option to extend for up to a further four years. The contract notice for the South West Unit gives a value of £690m over the 12-year period, while the South East contract is valued at £720m over the same period. The scope of works will include but is not limited to: the provision of integrated network management; routine, winter and emergency maintenance; renewal and improvement works including their design and supervision. Transport Scotland envisages that five economic operators will be taken forward to participation stage in each case. The weighting for awarding the contracts will be 40% quality and 60% cost. The contract terms and conditions will be based upon ICE 5th generation which has been amended by Transport Scotland. The deadline for receipt of tenders or requests to participate will be 16 November at midday. The estimated date of dispatch of invitations to tender or to participate to selected candidates is 5 February 2019. A maximum of two units across the network can be won by a single economic operator, which will be limited to one in the South and one in the North.